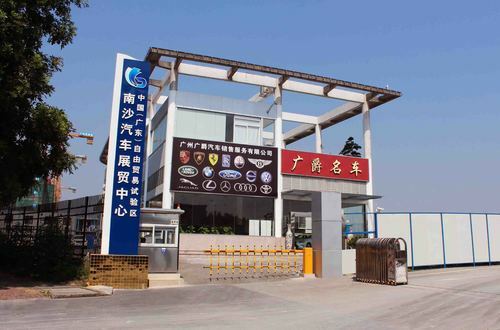 Guangzhou Guangjue Motor Sales & ServicesCo.,Ltd (GJ) wasestablished in June 2015.It’s a parallel-import car seller in GuangzhouNanshaFree Trade Zone, which mainly sells parallel-import brands such as: Maserati, Porsche, Bentley, Audi, BMW, Mercedes-Benz, LandRover, Jaguar, Lexus, Ford, Toyota, Volvo etc. Adhering to the “Sincere, United, Pragmaticand Enterprising” spirit and the management principle of “Customer first, Servicefirst”, we seek to fulfil the vision of becoming the No.1 brand in parallel-importcar service industry, creatinga well-known brand in the trade that integratescar wholesale, retail and service. Upholding the principle of respecting everyemployee, we endeavor to advance jointly with our staff and reciprocate theircontribution to the enterprise, establishing scientific and systematic EmployeeDevelopment System in order to create a harmonious working environment. We upholding our commitmentto our clients, our companies, our colleagues and our families and strive to growwith our customers & create a bright future together.